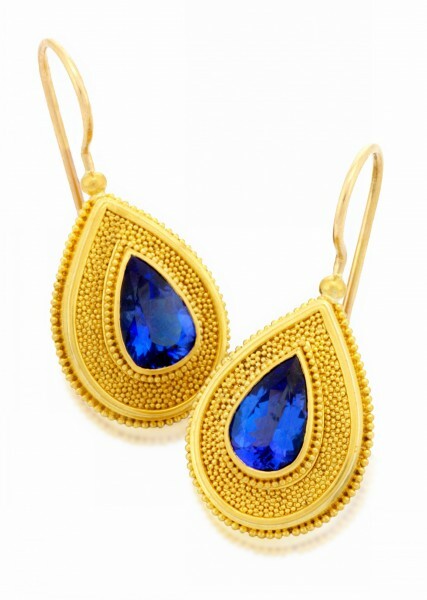 22K gold featuring pear shape blue sapphire measuring 6 x 9mm with “hidden diamonds” on the reverse side. Ear wires are in 18K gold. These earrings may be reproduced with the gemstone of your choice. Please allow time to source stones.